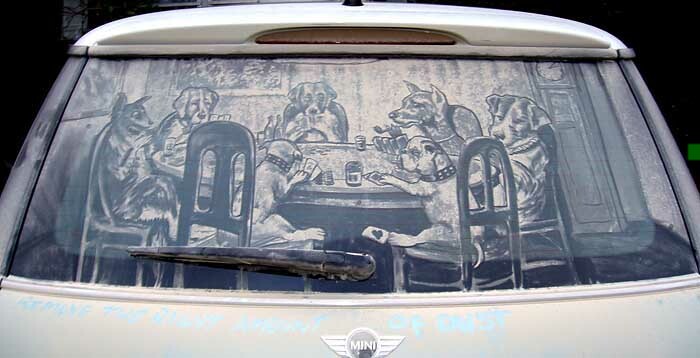 Scott Wade started creating masterpieces, in dirt, on car windshields. I feel this is very unique and another amazing way to turn something unwanted and thought of as bad, into beautiful art. I love art that turns our dirty world into something beautiful and creative. Click on the link to look through Scott Wades gallery, and watch videos of how he has mastered the art of dirt. This one only took an hour to create!